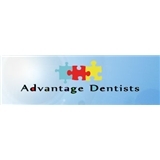 Advantage Dentists (Atascocita) - Book Appointment Online! Advantage Dentists has provided excellence in quality patient care and creating better smiles for the community around the Houston area with state of the art facilities in Katy and Humble. As health care providers we offer our patients a friendly environment with commitment to professionalism. Smile Bigger, Smile Brighter!